This calculator works with metric numbers if you enter the Toe & Tire Diameter in metric. Toe measurement in degrees is simply the angle between the vehicle centerline and the tire. 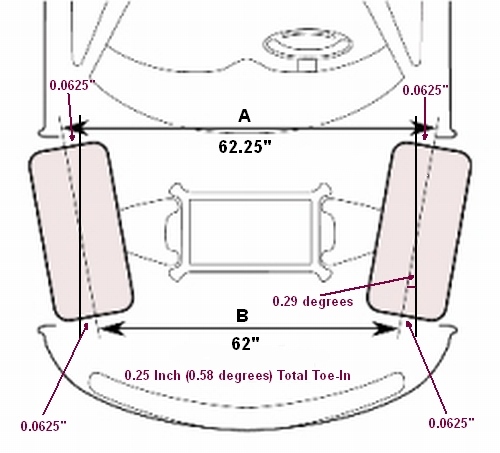 Toe measurements in degrees are more accurate than measurements in inches because inch based measurements are affected by tire size while the angle is independent of tire size.